Hyundai Motor India Ltd (HMIL) has introduced the updated 2017 version of its popular premium hatchback, the Elite i20. Starts with a price at Rs. 5.36 lakh and goes all the way up to Rs. 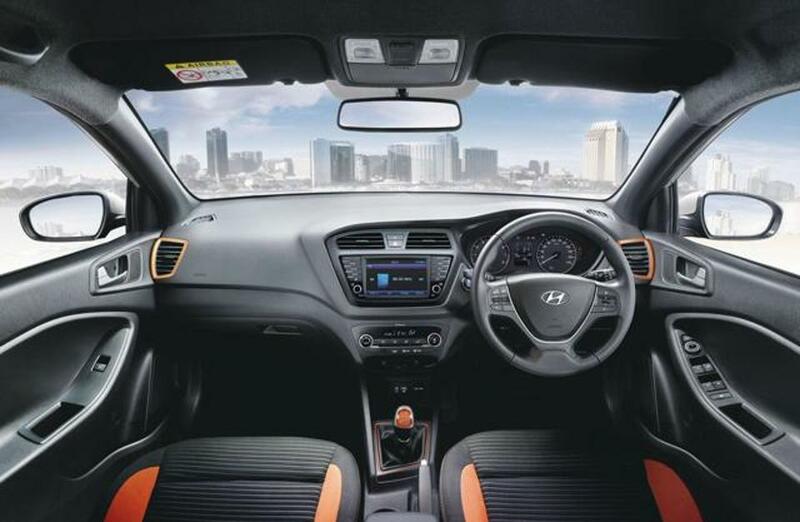 9.09 lakh (ex-showroom, New Delhi) for the top-end variant, the new Elite i20 comes equipped with notable additional features. Significant of them are the inclusion of dual-tone colour schemes. Claimed to be the segment-first features, the two optional paint jobs are Red Passion Body Colour with Phantom Black Roof and Polar White Body Color with Phantom Black Roof. The dual-tone option is available only in the Asta trim which starts at Rs 7.25 lakh (ex-showroom Delhi). Of the five exterior colours, the Marina Blue comes as a new addition to the 2017 lineup. No visual elementary tweaks have been implemented on the outside but stepping inside the cabin, the second largest automaker in the country has added orange insets to substantiate the sporty appeal in the all-black theme. The dashboard will give access to a 7.0-inch touchscreen infotainment system with navigational and smartphone connectivity supporting Apple CarPlay, Android Auto and Mirror Link. 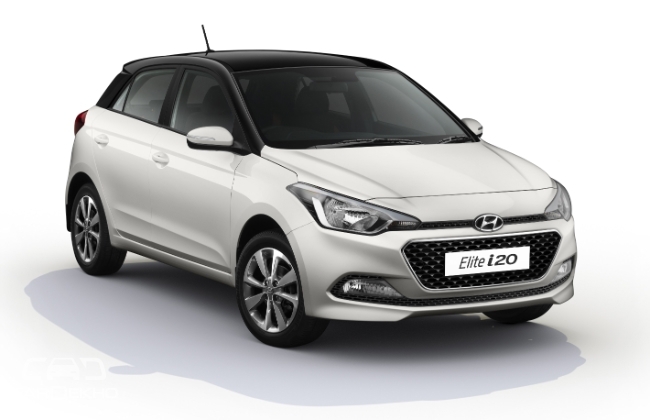 Ever since its launch in 2014, the South Korean brand has crossed a milestone of selling over 300,000 units of Elite i20 – making it one of the most important global prospects for them and has its unique versatility in selling emerging as well as well established markets. Hyundai decided not to give any mechanical updates as the 2017 Elite i20 continues to be offered in three engine options (one diesel and two petrol). The 1.4-litre U2 CRDi oil-burner is good enough to produce a maximum power output of 90 PS at 4,000 rpm and 220 Nm torque at 1,500-2,750 rpm. It is mated to a six-speed manual transmission. The base petrol is a 1.2-litre Kappa Dual VTVT that makes 83 PS at 6,000 rpm and 115 Nm torque at 4,000 rpm. It is coupled with a five-speed manual only. The more powerful 1.4-litre Dual VTVT gasoline motor dishes out 100 PS at 6,000 rpm and 132 Nm at 4,000 rpm torque. It can be had with a four-speed automatic ‘box sending power to the front wheels. The equipment list comprises of important stuff like 16-inch diamond cut alloy wheels, smart entry, rear AC vents, dual airbags, ABS (Anti-lock Braking System) with EBD (Electronic Brake-force Distribution) as standard, rear defogger, fog lamps and optional six airbags protecting the driver and co-passenger as well as side-curtains. 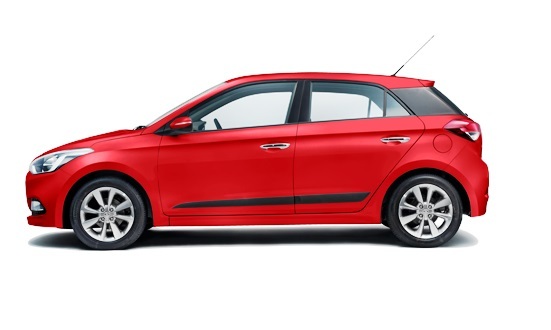 The Elite i20 has had a tough outing since the Baleno was launched in late October 2015 but unlike many other products Maruti rivals against, the Korean hatch has managed to hold its stead in the market.